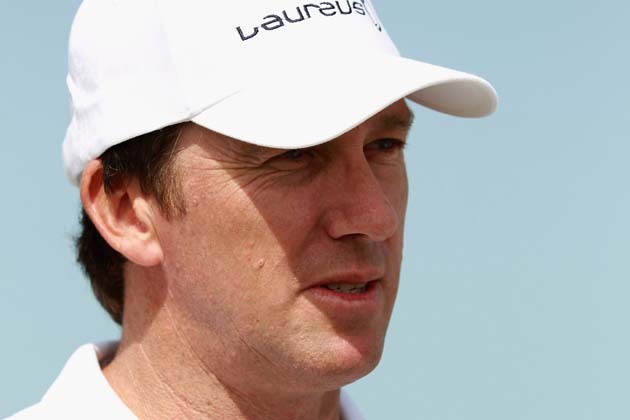 Former Australian great Glenn McGrath foresees Australia whitewashing India 4-0 in the Test series as he feels the hosts’ pace attack gives them a decisive edge over the visitors. “On Sunday, I said 3-0 but I stuffed up because I thought there were only three Tests. But definitely 4-0 now,” said McGrath at the SCG where he was promoting McGrath Foundation for breast cancer. “The way the guys have played, I’ve been very impressed. I think a team builds itself around a bowling attack and you look at the bowling attack the team has at the moment. “It will give the rest of the guys a lot of confidence so I’m very confident, as confident as I’ve been in years that this team is something special and expecting big things from them too,” he added. McGrath had words of praise for pace bowling sensation James Pattinson. “He has a good action, he bowls in great areas and [has] got good pace and a great attitude. I’ve really enjoyed watching him bowl and getting stuck into the Indian batsmen,” he said. Pattinson was man of the match at the MCG for his six wickets and unbeaten knocks of 18 and 37 in two innings. Above all, he breathed fire and bowled with aggression at the Indians. “Definitely, it’s all about attitude and we’re fast bowlers at the end of the day. You don’t bowl half volleys and skip around the park smiling at batsmen, do you?” said McGrath. “I wish I could bowl that quick and it’s been a great start for his career to have a couple of five-wicket hauls under the belt. The confidence has got to be up. “I think he’s got a huge future. I wish I started my career as well as James has so I’m expecting huge things from him, definitely.” The great fast bowler, who took 563 wickets during his career of 124 Tests, said Australia would do no harm if they opted to play four fast bowlers in this Test. “It has spun in the past in Sydney. I like a spinner in the team to give it a balance but with Ryan Harris, with the form he was in before he got injured, to bring him back into the team would offer so much, especially playing India in Australian conditions. “I think with the extra bounce, we get extra bit of seam movement which actually works in our favour. I’ve been very impressed with our bowling attack, the way we bowled in Melbourne was great so I’m expecting big things from the boys in this Test match also,” he said.